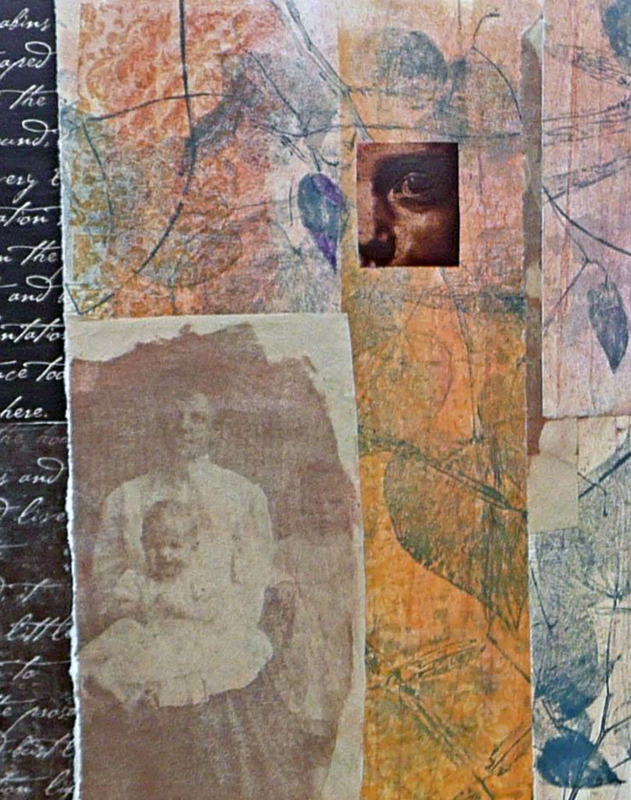 “Lasting Impressions,” an exhibition of mixed media printmaking and hand made books, will be presented at 80808 Gallery at the Vista Studios, at 808 Lady Street, Columbia, SC from October 8 through October 18. An opening reception, hosted by the artists, will be held on Friday, October 9, 2015 from 5 PM to 8 PM. Additionally, a “Try your hand at printmaking event” will be held at the Gallery on the third Thursday in the Vista, October 15, from 5 PM to 7 PM. The exhibition will include unique, mixed media monotypes by Claire Farrell and Grace Rockafellow as well as handmade by books by Cynthia Colbert. Cynthia Colbert is a professor of Art Education at the University of South Carolina in Columbia. Most recently her mixed media work, Drawn Images from Garden has been awarded Best of Show in the Palmetto Hands Fine Craft Competition & Exhibition at the North Charleston Arts Festival. She is an accomplished instructor, and has won numerous awards for her work in education. 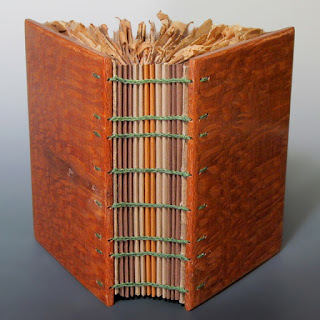 Her handmade books focus on the textures of various papers and colors of pigment in paints, dyes and colors that inspire the construction of these layered pieces. Grace Rockafellow is a retired art teacher who enjoys experimenting with possibilities in printmaking as an art form. 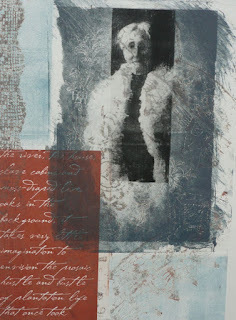 She has studied in Santa Fe, NM, Penland School of Arts and Crafts, NC and continues to participate in classes at USC. 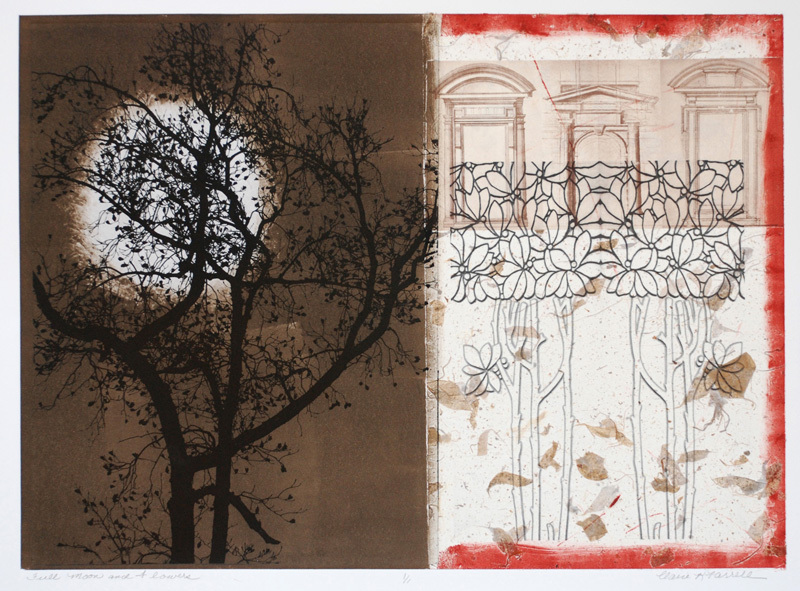 She is inspired by nature and incorporates prints of leaves and grasses into her monotypes. 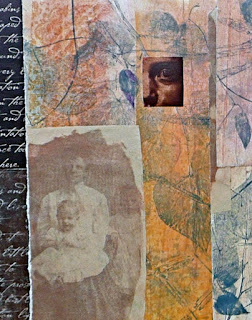 Additionally her work contains copies of old family photographs, “keeping these folks alive by incorporating them into my image making.” She combines collage and drawing into her work to make each of her monotypes a unique and personal image. Claire Farrell is a painter and printmaker who enjoys creating unique images by combining her monotypes, etchings, stencils, and a variety of collaged papers in different ways.The use of strong color is typical of her work. She calls the pieces she creates mixed media monotypes, and they include architectural elements, figure drawings, photos from her travels, and organic forms such as leaves, feathers, and lace. 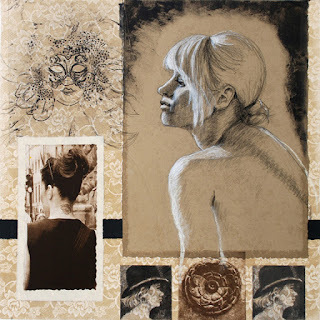 She has studied at USC, Santa Raparata in Florence, Italy and in Santa Fe, NM. She maintains her studio at her home in Columbia. 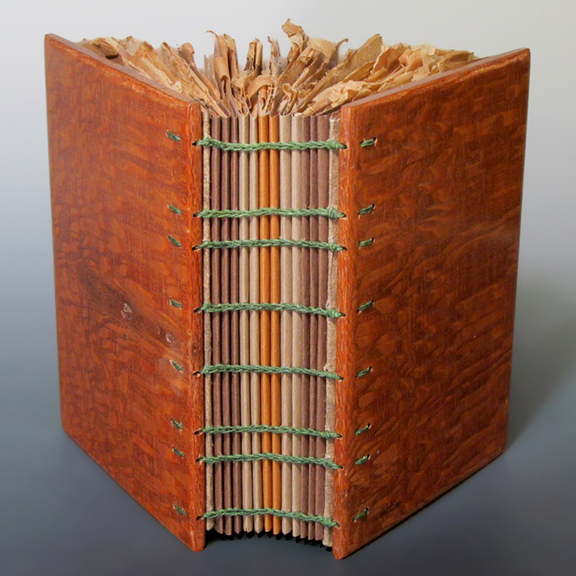 The exhibition will include approximately 70 two dimensional pieces by Claire and Grace as well as numerous hand made books by Cynthia Colbert. The artists may be reached through their individual email addresses. Further information about Gallery 80808 may be found at (803) 252-6134 or by visiting the website at vistastudios80808.com.